Lamar Odom is doing better, but he's not out of the woods yet. The condition of former NBA player Lamar Odom has reportedly improved since he was initially found unresponsive in a Nevada brothel last week. But according to multiple reports, Odom could be facing long-lasting effects from the incident that ended in his hospitalization. USA Today and TMZ report that Odom, who has been transported to Los Angeles to continue his treatment, may need a kidney transplant as he undergoes kidney dialysis. Odom is undergoing up to six hours of dialysis per day, according to TMZ. His estranged wife Khloe Kardashian is reportedly still by his side. 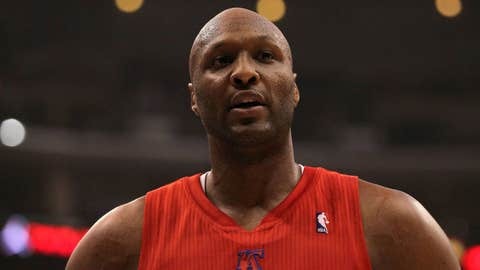 Multiple outlets report that Odom experienced organ failure, but that the majority of his other organs have bounced back. Odom will reportedly undergo testing at Cedars-Sinai Medical Center in Los Angeles to determine "the extent of damage" to Odom’s brain caused by the several strokes he suffered.